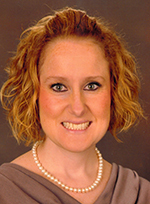 DETROIT — Janis Rood has joined PACE Southeast Michigan as a clinical pharmacist. Rood joins the interdisciplinary team at the Detroit Northwest campus where she will manage medication therapy for nearly 200 participants. She comes to the PACE program with more than 10 years of experience in the pharmacy field including retail, urgent care, and ambulatory care settings. Previously, Rood was a clinical pharmacist with Plymouth Pharmacy and Medical Supplies, coordinating medication services for patients at Plymouth Urgent Care. Rood, of Ann Arbor, received her Bachelor of Arts in Psychology and Spanish from Hope College and her doctor of pharmacy degree from the University of Michigan. She completed her residency with the University of Iowa and Osterhaus Pharmacy.